ShowStoppers is always a hit with our team while at CES and it was a delight to speak with Nigel from Realmax this year at CES 2018. 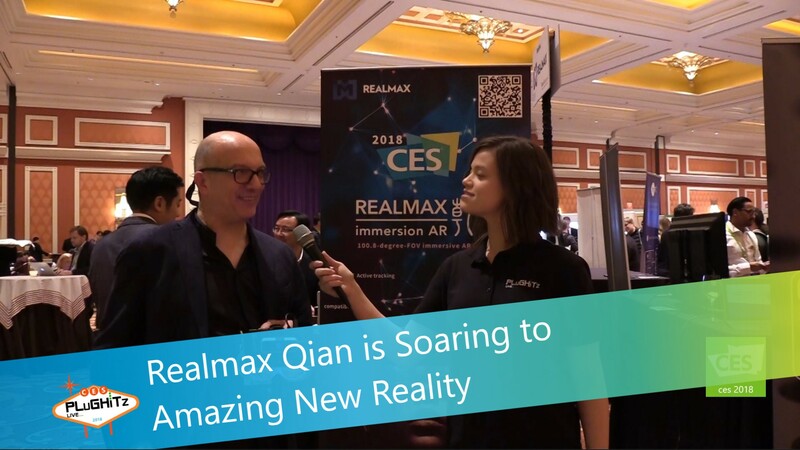 Although we are not strangers to Augmented Reality here at PLuGHiTz Live, we were curious to see what was different and exciting about the Realmax Qian. And they did not disappoint. Realmax has been around since 2003 and is a company that is highly involved in educational technology. With the addition of AR, they have the ability to not only bring learning to life but to also reach a much broader audience. For example, this technology can be adapted to smaller engineering and robotics programs where the schools cannot afford full labs. With Qian, the students can still get real experience on a full set of instruments and machines in this AR realm. The technology could also assist doctors with training medical students in a much more efficient and cost effective manner. The potential applications are limitless, which opens up usage in so many more fields than education, such as banking and other corporate settings. Realmax has also set themselves apart from their competitors in some exciting ways. Their headsets are completely mobile with an Android CPU built inside. They have also increased their AR Field of View to an outstanding 100 degrees. The goggles have much better tracking to allow users to stay anchored in the real world to walk around the digital content. They are also working to offer all of this at a more affordable price point than their competitors in the consumer market. Although currently in the prototype stage, Realmax expects to have the technology in the hands of software developers within Q2 of 2018, and begin consumer production in Q3. This is a product that we at PLuGHiTz Live will be keeping an eye on in the coming months as it launches with possibly even a full product review, so stay tuned for more information regarding pricing and where to purchase.